There are so many cute cafes and stylish restaurants here in Singapore that it is often easy to forget we also have some of the best hawker fares in the world! And its been awhile since we last blogged about places aside from restaurants , so here's one - Beach Road Scissor-Cut Curry Rice. If you have hunger pangs during the wee hours of the night, this is the place to go. As you can see from the picture below, it operates from 11am to 3.30 am which should be late enough for most supper goers. 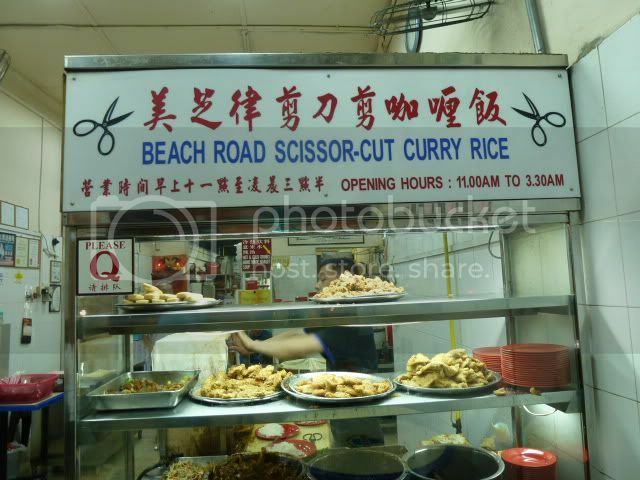 Beach road scissor-cut curry rice is located among the shop houses at Jalan Besar near Mustafa shopping centre. The place is rather old and has this 'old school' feel about it which I think my parents can relate to. What they sell are some fried ingredients, braised meat and vegetables. 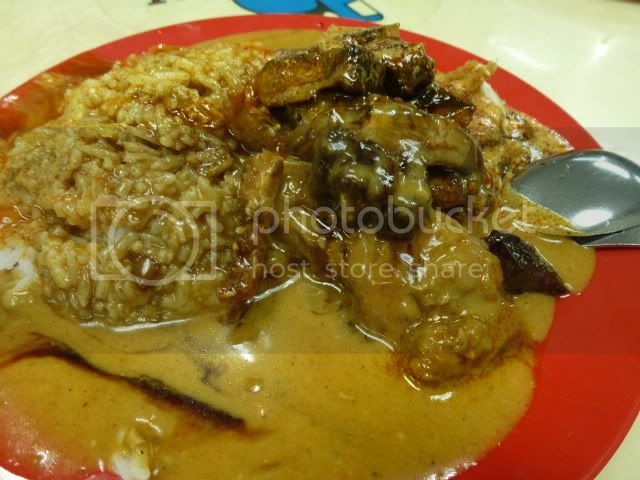 Their more well-known dishes are the braised pork and pork/chicken chop. After adding your selected dishes to the rice they will then douse loads of curry and braised sauce over the rice to make it look like the picture below. Some might find it hard to like the food if you love your rice untainted or if you hate your food to look like a giant mess. But the taste of the entire mixture might change what you think. 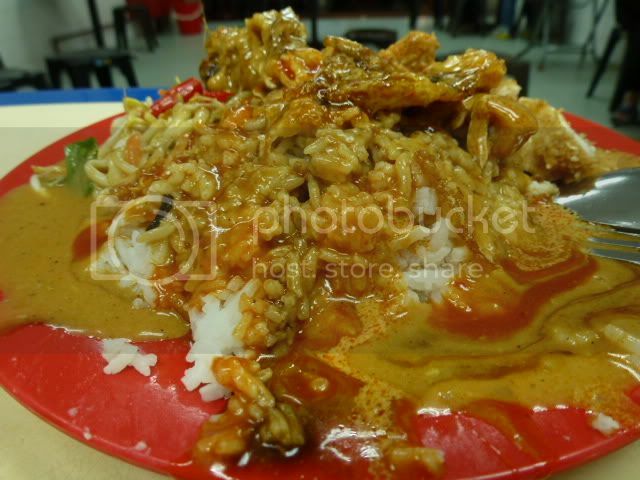 The curry they use is Hainanese style which is a bit sticky gooey but not very spicy. As all curry does, it goes well with the rice. The rest of the dishes are really just supplementing the taste. We spent about SGD $7 for the both plates so it is value for money I would say. K and I went there one late night and it was raining heavily. And with each mouthful I took, the heat from the curry provided much needed warmth for the tummy. Perfect comfort food to have on a cold day.